Set amongst the vibrancy that defines the Honeysuckle precinct, this fresh, contemporary and innovative residential apartment offers an unparalleled standard of living for buyers seeking an exceptional location amid cafes, restaurants, wine bars and galleries. 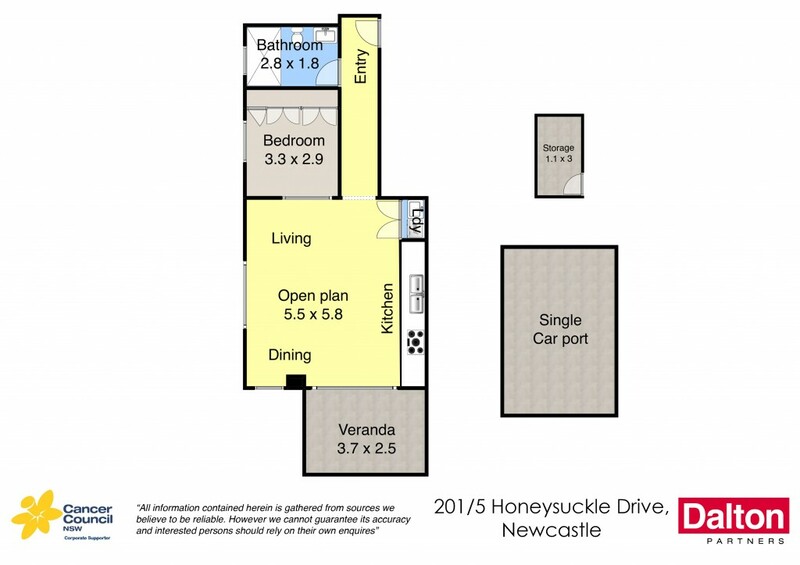 Generously sized it features a modern open plan layout with separate bedroom, stylish bathroom, outdoor balcony overlooking Newcastle's famous harbour and the central heart of Honeysuckle, secure underground parking and a private 3sqm storage room. * Located in the central heart of Honeysuckle. * Sweeping views over the harbour and piazza below. * On the doorstep of galleries, wine bars and restaurants. * Chic open plan layout flooded with natural light. * Sleek chefs kitchen with stainless steel benchtops. * Cleverly designed bedroom with BIR's. * Stylish and liberally sized bathroom. * Ducted air conditioning for year round comfort. * Secure underground parking plus 3sqm storage room. * Premium floor coverings/ internal European laundry. * Selling fully furnished (inventory available on request). * Happy long term tenant paying $500 pw, lease expiry September 2017.